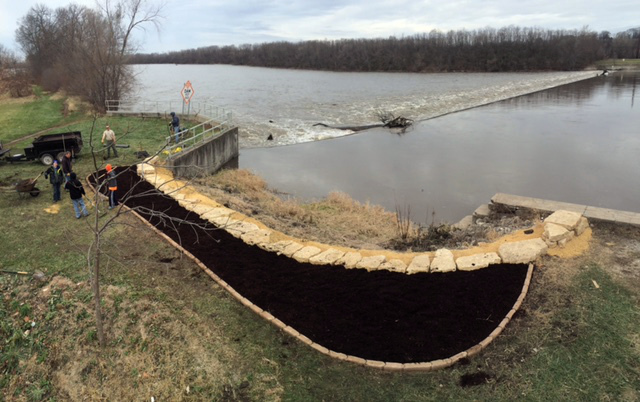 We work | River Action, Inc.
We work to protect and restore the Mississippi River and our shared RiverWay environment. 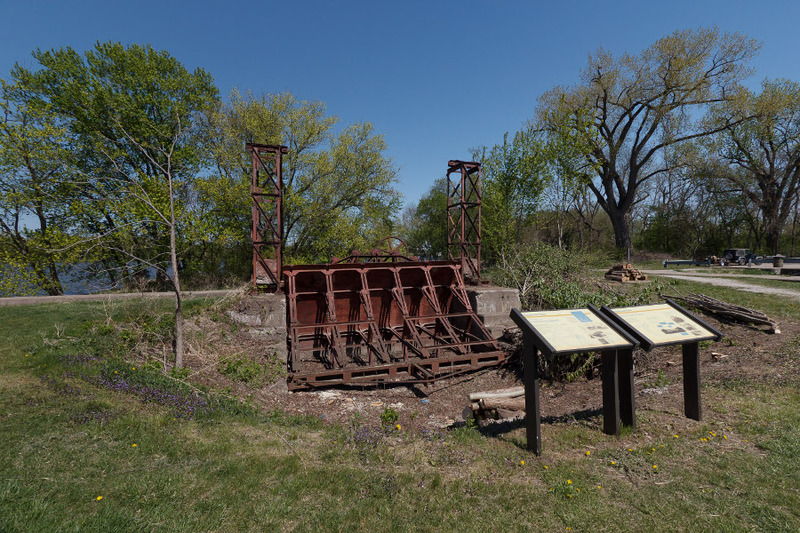 In partnership with the Village of Milan and the Illinois DNR, River Action is undertaking restoration efforts at the Hennepin Canal and the Steel Dam in Milan, Illinois, to establish an environmental park which will provide educational and recreational opportunities for area youth, residents, and visitors. Restoration activities include the improvement of the gravel drive, parking lot, and walking trails; the removal of invasive and encroaching vegetation around historical Lock 30 infrastructure and the replacement of this vegetation with sustainable, low maintenance native plants; removal of vegetation at the portage; the installation of new interpretive signage; restoration of 3 park benches; dredging of the canal above and below Lock 30; and the stocking of native fish species in the Steel Dam section of the Hennepin Canal. 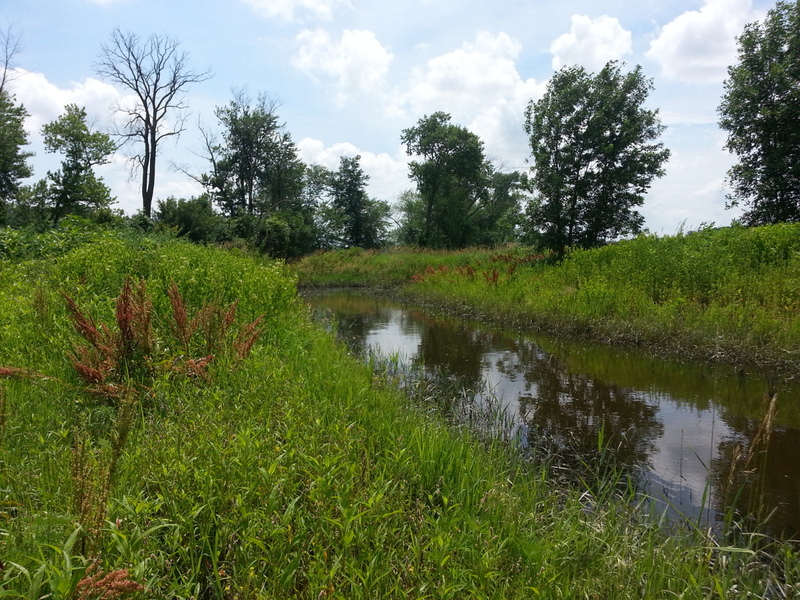 River Action is also expanding its efforts on site to include the restoration of 1.6 acres of mesic prairie in the wildlife area along the canal. 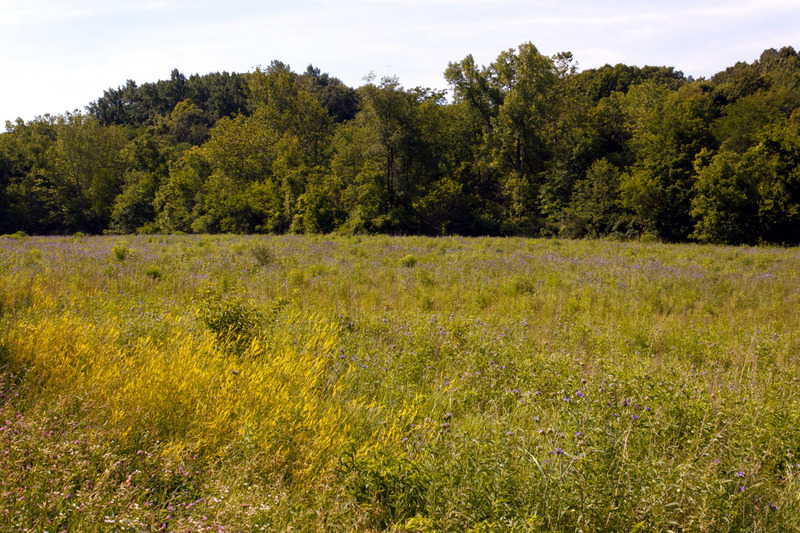 Prairie restoration will increase biodiversity on-site and improve habitat for a diverse array of wildlife species. 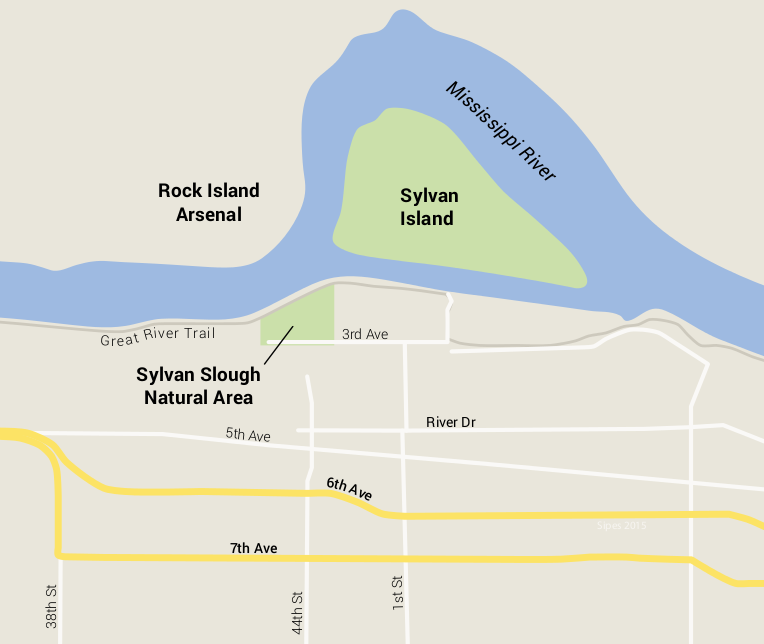 The Sylvan Slough Natural Area was an ambitious public/private partnership with IL DNR, City of Rock Island & River Action to reclaim a brownfield industrial area for public green space. Contaminated soils on site were remediated and selected structures were adapted for bird viewing platforms and walkways. 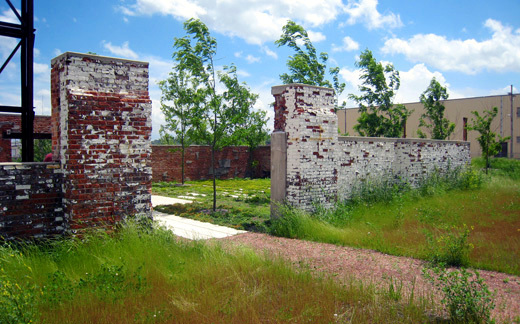 Restoration included the establishment of mesic prairie, bioswales and a raingarden. The parking lot was constructed of porous pavement, increasing stormwater retention. 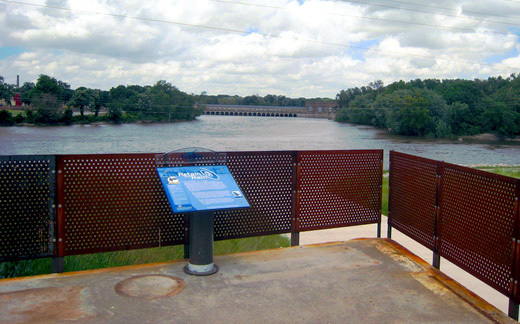 Completed in 2008, it now provides essential ecosystem services, such as urban wildlife habitat and stormwater retention in an urbanized and industrial section of the riverfront. Since the completion, the natural landscape has received little attention in terms of management. As a result, early successional tree species and invasive species have invaded native plantings. River Action, River Bend Wildland Trust (RBWT) and the City of Rock Island are partnering to restore habitats and develop a management plan that can be carried out by city staff. River Action and the RBWT are organizing volunteer events to accomplish restoration activities in 2016. These events will educate the public about the services natural areas play in urban environments. RBWT is currently working with Augustana College to incorporate these restoration activities into their Conservation Biology course curriculum. Furthermore, we will be reaching out to the Rock Island School District to determine how to best use this natural area as an outdoor classroom. We plan to begin work on site during the winter of 2015/2016 depending on weather and funding. We work to improve the river through urban watershed restoration. Specifically, we have developed two watershed plans for Rock River Ravines and Duck Creek in 2008. 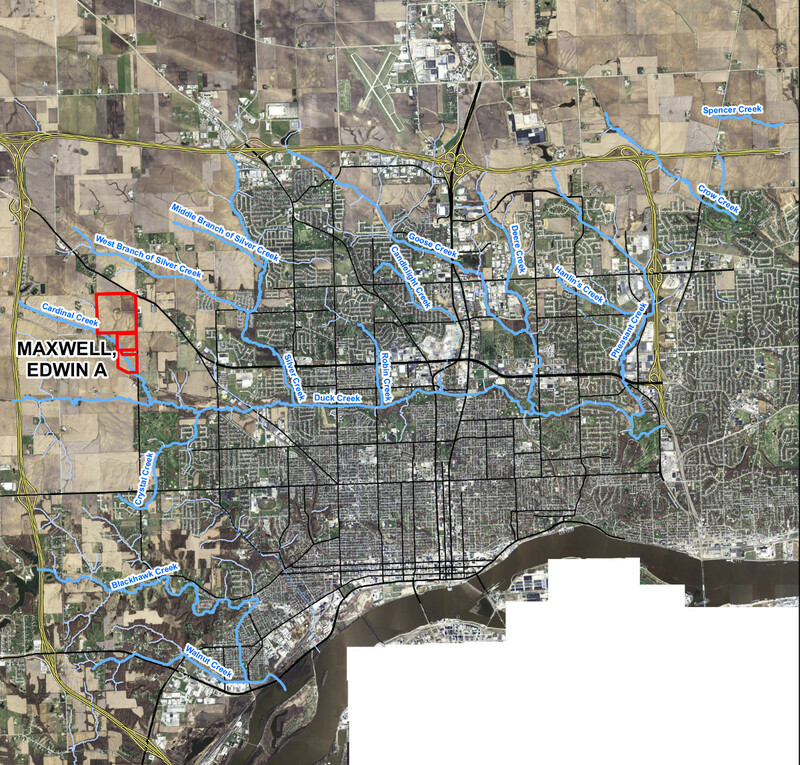 These plans were adopted by the cities of Rock Island, Moline, Bettendorf, and Davenport, and have provided a blueprint for improving water quality and protecting natural resources in the watershed. 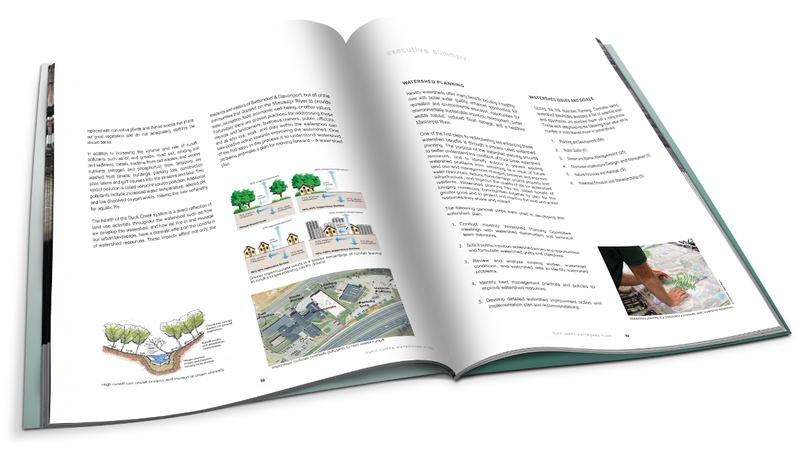 The goals include: improving coordination and decision making between stakeholders, improving stream water quality by reducing stormwater runoff and addressing modified hydrology, restoring stream systems to enhance riparian health, improving stormwater management infrastructure, enhancing green infrastructure networks, and educating citizens about stewardship opportunities. 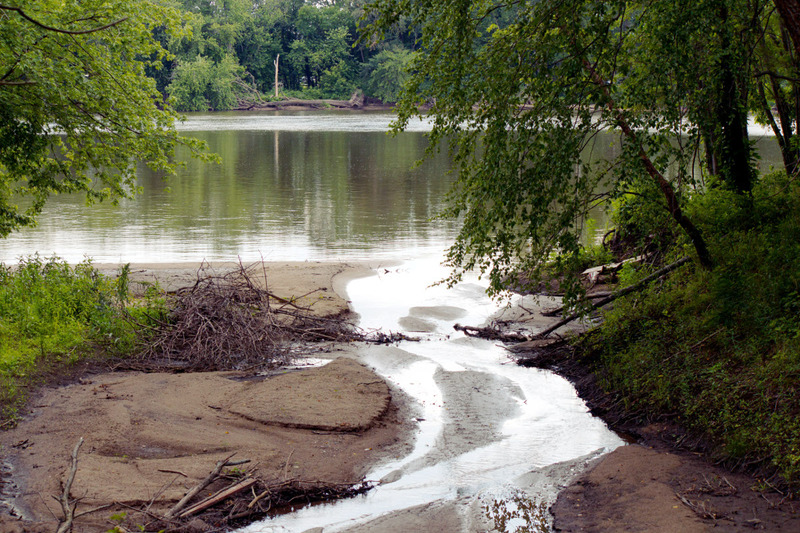 River Action developed the Rock River: Non-point Source Pollution Plan, which involved three major projects in the Illinois Quad Cities Area. The goal of these projects was to clean our watershed and waterways by filtering runoff to remove suspended sediment, heavy metals, oil and grease, nutrients, and other suspended and soluble non-point source pollutants. The first project restored a drainage ditch in Rock Island which was once an ephemeral stream with a watershed dominated by impervious surfaces. In 2013, over 850 linear feet of the stream was restored through stream-bank stabilization. Native vegetation was established and rock check dams were constructed slowing stormwater flow and reducing sedimentation. The second project also took place in 2013, and improved stormwater runoff at Black Hawk College by creating curb cuts, allowing water to enter two newly installed rain gardens and any overflow water was directed through a drain/culvert to a third rain garden. 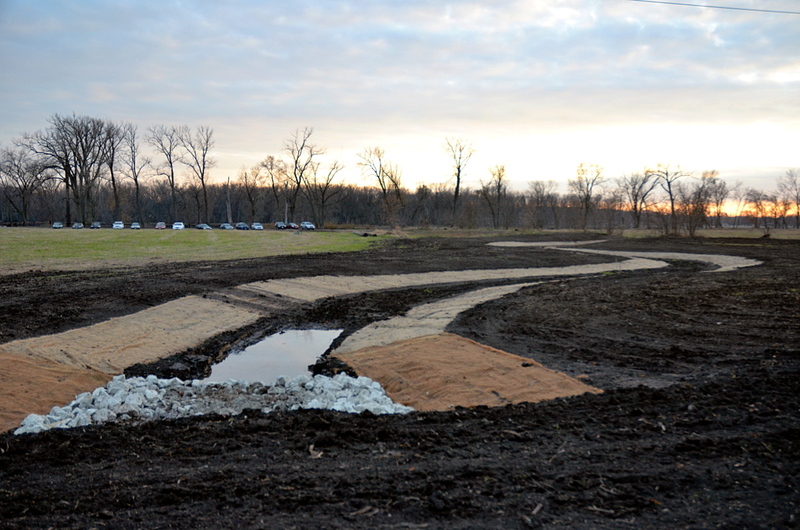 The final project took place at Green Valley Nature Preserve in Moline, IL. In recent years, the preserve has become overgrown with invasive plants, and streams have been altered and channelized through culverts. This plan highlighted Phase I of restoration at Green Valley restoring and re-shaping 1,100 linear feet of a channelized unnamed tributary of the Rock River and restoring 6.3 acres of wetland in 2014. Restoration at both Green Valley Nature Preserve and Black Hawk College is ongoing. Since the two sites share a watershed, it is important to focus our efforts at both locations to effectively improve the quality of water entering the Rock River. River Action conducted vegetation surveys at Black Hawk College, building on Augustana College’s past vegetation monitoring and transects were set at Green Valley for future surveys. Vegetation changes from restoration will be observed through the data collected along these transects. In April 2015, retention pond installation at Black Hawk College was completed. Several volunteer days have helped combat invasive species at both sites and these events often included educational workshops on restoration activities. River Action has also worked with the City of Moline to treat 10 acres of reed canary grass. 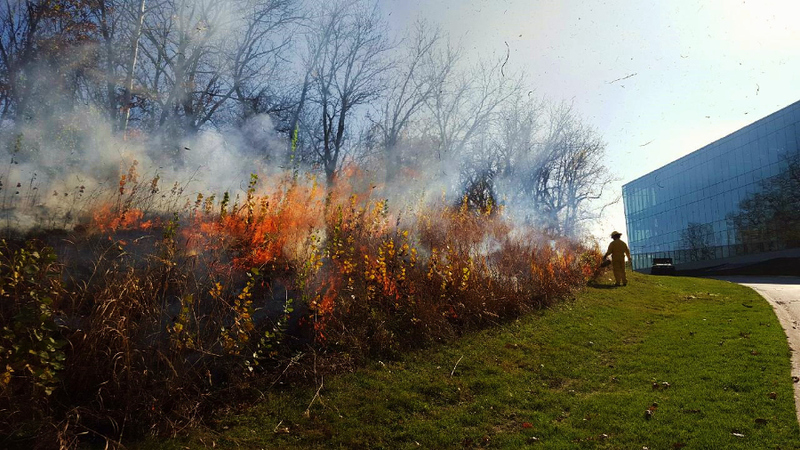 In November 2015, a successful controlled burn took place at Black Hawk College in order to combat invasive shrubs on seven acres of oak/hickory woodland. 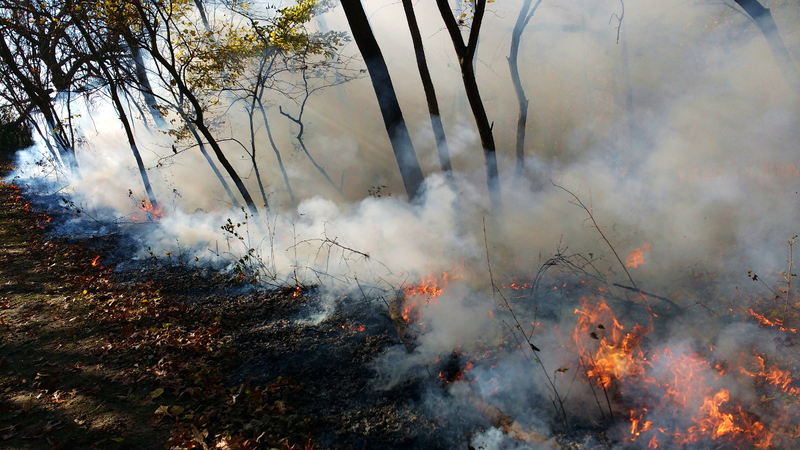 The burn was coordinated by River Action and led by Riverbend Wildland Trust. Volunteers from Black Hawk College and the National Fish and Wildlife Service assisted with burn activities. Plans for 2016 include construction on pothole wetlands, mesic prairie, interpretive trail-work and the re-routing of a channelized stream through an existing wetland. 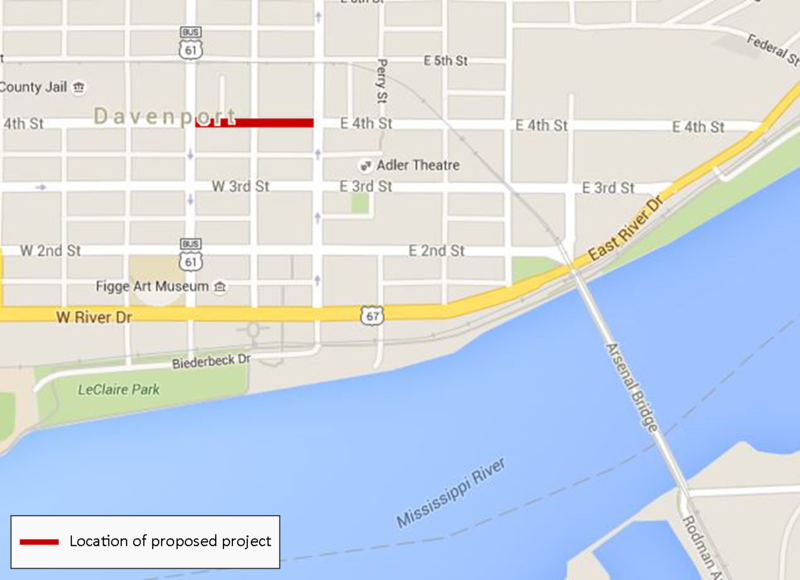 In collaboration with the City of Davenport and the Conservation Design Forum, we are developing a demonstration project to reduce flooding and nutrient runoff from the 4th Street corridor in downtown Davenport between Brady and Pershing. Altogether, 3rd and 4th Streets have an impervious area of 1,464,115 square feet and generate 1,140,724 gallons of runoff in an average rainfall. In order to combat runoff and street flooding, River Action and partners have developed a plan to install a heated permeable parking lane (435 linear feet and 8 feet wide with a 1.6 foot rock chamber). 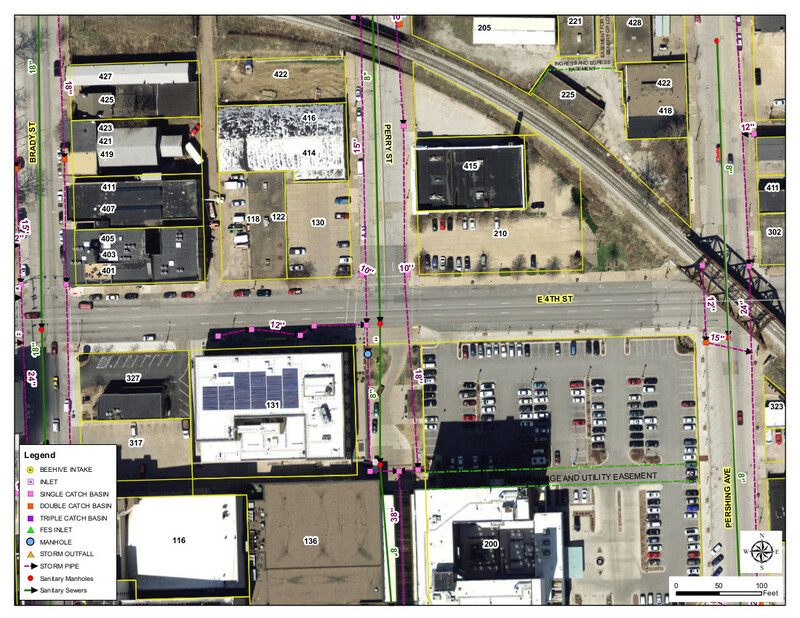 This parking lane will infiltrate stormwater and winter snowfall in a highly urbanized, impervious area of downtown Davenport reducing runoff and the need for salt in the winter. In collaboration with the Rock Island County Forest Preserve District, the U.S. Fish and Wildlife Service, and the Rock Island Soil and Water Conservation District, habitat and trail restoration is taking place at Loud Thunder Forest Preserve. Through this effort, 41 acres of land (much of this land being row-cropped agriculture) will be restored to natural habitat. Restoration will include the establishment of 24.31 acres of mesic tallgrass prairie, twelve acres of open deciduous-hardwood woodland, and five acres of wet prairie—including the establishment of ephemeral wetlands for topographical diversity. Prairie seed mixes will be designed to provide diverse habitat and food sources for an array of pollinator species. Woodland plantings will include both high quality hardwood species and flowering shrubs. This restoration will greatly benefit the site’s 167 acre man-made lake, Lake George, which eventually empties into the Mississippi River. Research has indicated that sedimentation in the lake is a severe issue, and a large cause of this sedimentation is erosion from adjacent agricultural land. 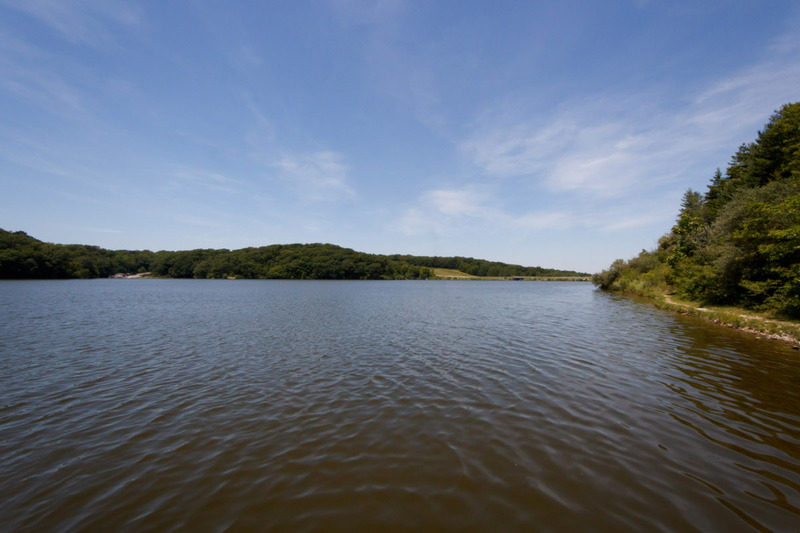 By converting agricultural land to natural habitats, the amount of erosion will be significantly reduced, reducing the influx of sediment to the lake. Lake George is also listed as a 303 (d) impaired body of water (according to the EPA), due to nutrient pollution, and restoring these agricultural lands will lessen agricultural runoff to the lake. In addition to ecological restoration, this project will restore degraded sections of the Sac Fox Trail. This will improve public access to a large section of the preserve’s highest quality forest. Trail restoration will also decrease sedimentation in Lake George. 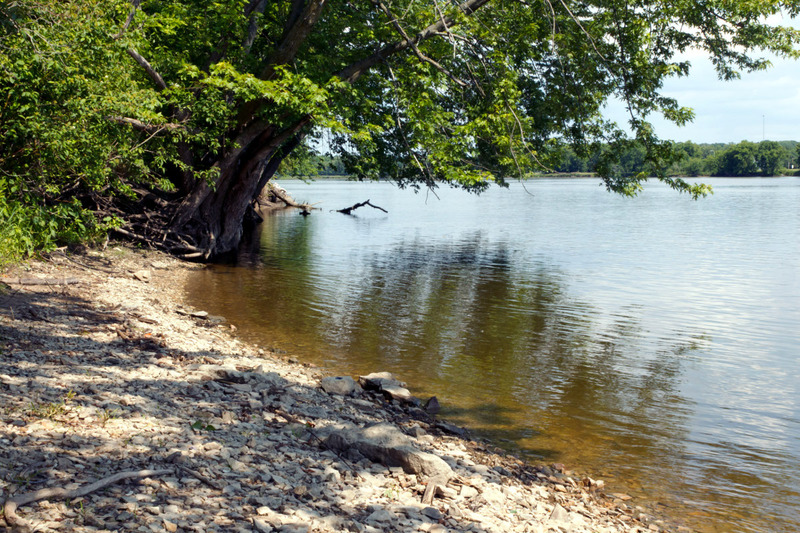 Soil runoff will be reduced by implementing erosion control methods, improving the lake’s health. 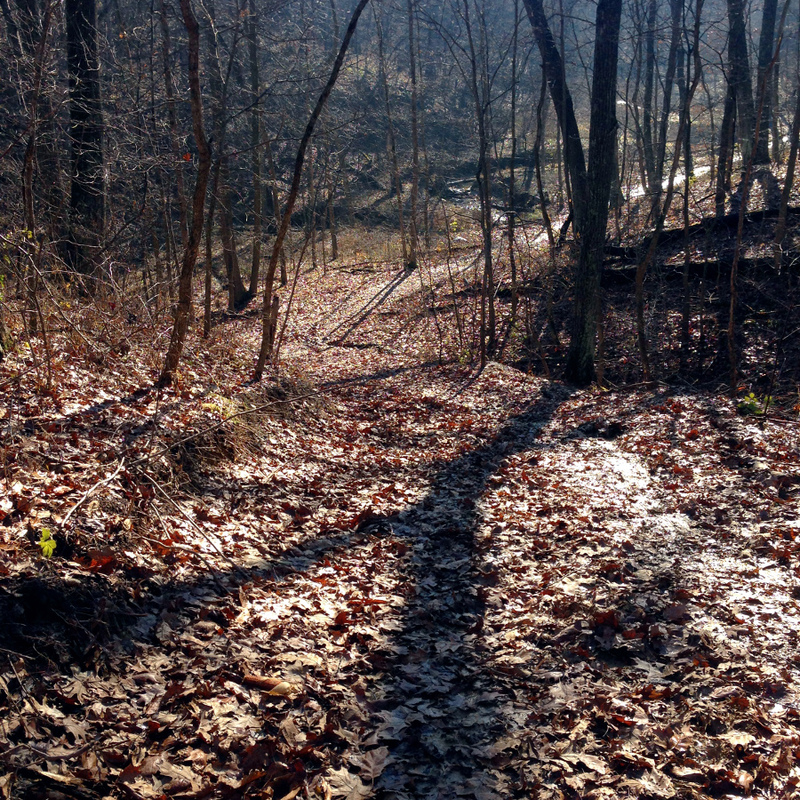 Due to poor trail conditions visitors commonly get lost, thus fewer visitors utilize this portion of the preserve. The current state of the trail makes it virtually impossible for emergency services to efficiently access this section of the preserve. 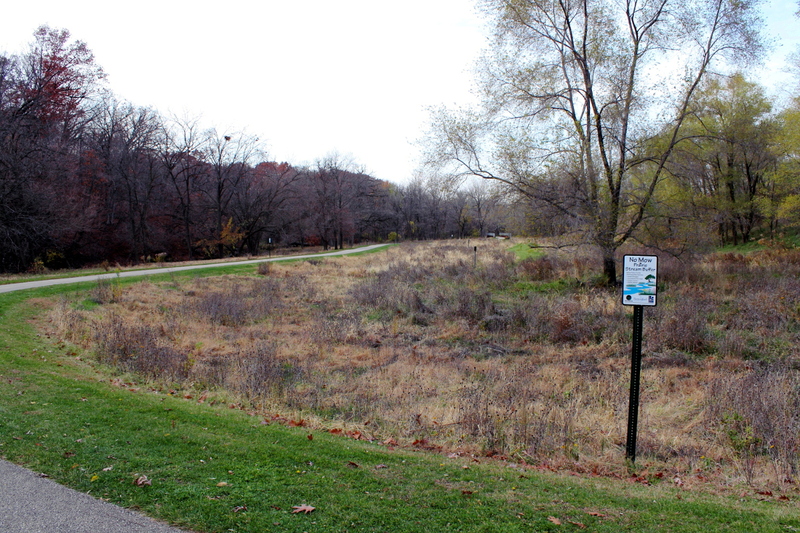 Improving the Sac Fox Trail will also provide necessary access for preserve staff to carryout management activities outlined in the Loud Thunder Forest Preserve Forest Management Plan. River Action is currently working with the City of Davenport Public Works, Conservation Design Forum, Solutions in the Land, and Partners for Scott County Watersheds, and Joan and John Maxwell to develop a Whole Systems Approach to Agriculture and Nutrient Reduction at Cinnamon Ridge Farms, Scott County, IA. Cardinal Creek (a tributary of Duck Creek) runs through Joan and John Maxwell’s Cinnamon Ridge Farms. This project is aimed at developing realistic, cost-effective, and environmentally restorative measures that can aid in the reduction of farm-scale soil and nutrient loss, in addition to providing a broad range of restorative food and fiber options that can be incorporated alongside more traditional corn and soybean production. This will include the development of riparian buffers, as well as other measures to protect the water quality of Cardinal Creek. Native vegetated buffers are protective areas, planted with native vegetation, between a waterbody and human activity, such as urban and suburban development and agriculture. These “living filters” capture many of the pollutants that pass through them. In addition, buffers planted with native flora provide critical resources for wild life—habitat, food source, and travel corridors—especially in the urban environment and areas dominated by intensive agriculture. 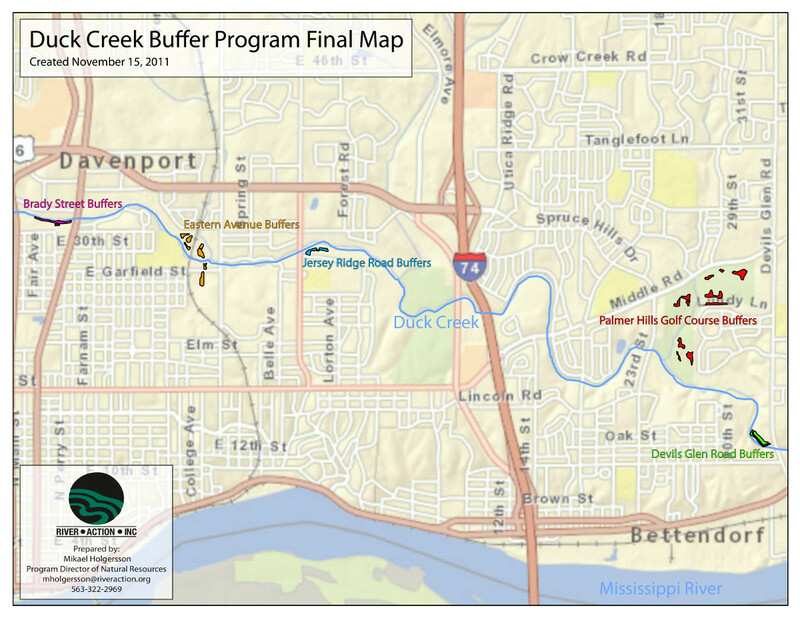 The Duck Creek Buffer Program was designed and implemented to improve water quality in Duck Creek. Native vegetation buffers were recommended by the Duck Creek Watershed Plan 2008 as a best management practice and were also recommended by the Duck Creek Total Maximum Daily Load to help correct the E. coli problem. Native vegetation buffers offer several benefits to water quality, including reduction of the priority pollutant, E. coli bacteria. The Duck Creek Buffer program located most of its buffers on pet-friendly parklands in the cities of Davenport and Bettendorf. These buffers can reduce the amount of bacteria entering Duck Creek by creating areas that not only deter use by pets, but are also avoided by common and prolific E. coli carriers like ducks and geese. In addition, buffers intercept bacteria in contaminated runoff that flows into them from adjacent mowed areas where these and other animals typically leave bacteria-ridden feces. 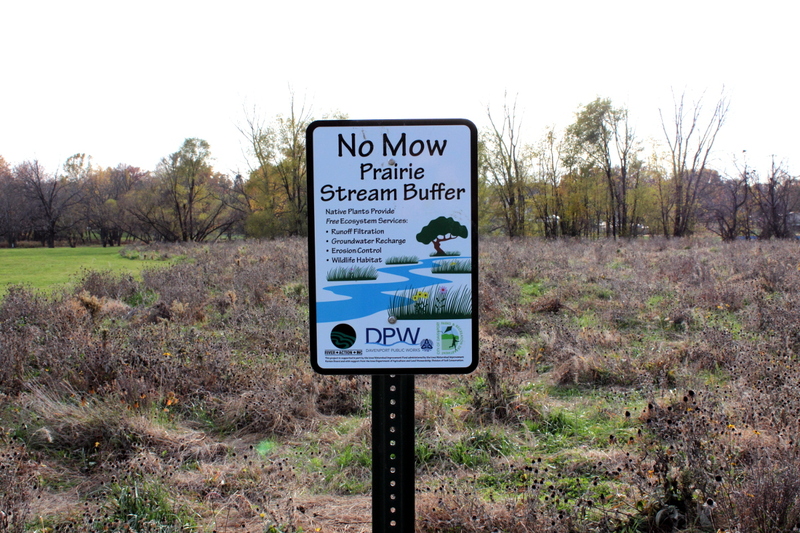 Other buffer benefits include their natural abilities to absorb and filter fertilizers, pesticides, and other chemical contaminants, as well as reduce erosion. The Duck Creek Buffer Program established approximately 19 acres of native short grasses and forbs in the Duck Creek Watershed.